Have you ever longed for the majestic look and the rustic feel of a hardwood floor under your feet? Would you prefer your home to have the timeless look of marble or the cultured appeal of travertine? Are there budget or lifestyle issues that have been holding you back? Maybe it's because there's no room for natural materials in your budget, or because you don't have the time or energy to deal with the costly maintenance. Or maybe you know that your child – or pet, or deadbeat cousin who lives on your couch sometimes – will spill something on the floor and make it warp or stain, or they'll scratch it or gouge it or otherwise ruin its appeal. No matter what your reasoning, laminate floors may be the solution for you. If you are seeking the largest selection of laminate flooring in Tampa, St. Petersburg, or New Port Richey, FL you've found the perfect flooring dealer for you. Laminate flooring can be made to look exactly like more costly materials, like hardwood and natural stone. Recent technological advances have even made it possible to give laminate floors the texture of hardwood, making a well installed laminate floor virtually indistinguishable from the real thing. Natural materials, however, can cost two to three times the amount that laminate flooring does. Laminate flooring is also incredibly durable, and can stand up to most children, pets and cousins. The melamine finish on top of the pattern layer protects it from being scratched, stained, gouged, faded or warped by liquids. If swept free of dust and sand regularly, this flooring won't scratch or fade until long after you're tired of it. If something does happen to your floors, despite their resistance, there are things you can do to fix it. Hardwood and natural stone must be sanded and refinished to bring them to their former glory. 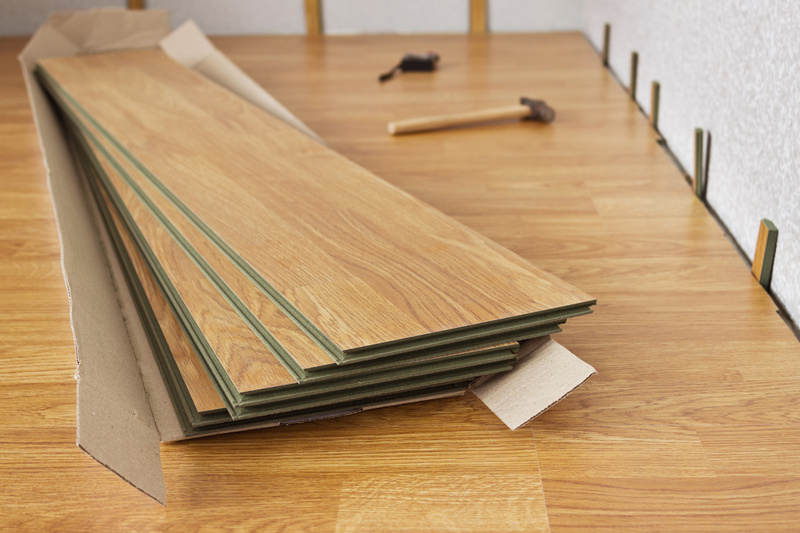 Single planks in laminate floors can be removed and replaced, quickly and cheaply, saving you even more time and money.